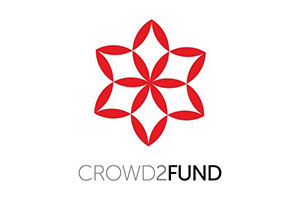 Crowd2Fund is a technology led, FCA regulated finance company. We offer a new generation of investment opportunity to pioneer a cultural shift away from the traditional banking systems. We focus on finding innovative businesses and connect them with likeminded investors. Our ethos is to enrich the experience of investing and fundraising for everyone. We are an alternative finance platform that allows businesses to raise finance directly and limited to the general public, instead of institutions. Raising private finance offers many benefits for those businesses suitable to crowdfund. We work with innovative and growing businesses looking to access finance, build an investor team and potentially run a marketing campaign. Consumer oriented and social or environmental businesses resonate well with the general public, particularly if perks are offered to investors. Many times, crowdfunding allows investors to both get financial gains and help a cause or business to which they have an emotional connection. Crowd2Fund offer non-secured loans from £50k to £1m with interest rates varying from 6%APR to 15%APR, of which the average loan size currently is £150k at 9% APR for 3 years. We have 3 lending products, a fixed repayments loan, a revenue loan with flexible repayments, and the interest-only bond. We aim to respond to applications on a same day basis, with a campaign which takes 2-4 weeks to fund. Our main interest is to work with businesses over the longer term, becoming their source of finance should they want to turn to their investor team for a further fund, assuming their finances can support this. Working with us not only allows businesses to access capital at a comparative rate to a bank or other lending platform, we are unique in that we build an investor community for each business, in addition to running a bespoke marketing campaign. "At La Gelatiera, we seek to make meeting and eating a fantastic experience. Our Artisan gelato has consistently won some of the UK's most prestigious food awards and, having established our proven business model, we now know its the right time to expand to more shops. The investment raised with Crowd2Fund allows us to do this, starting with our new Stratford shop." "We chose crowdfunding as it not only allowed us to raise the funds at a similar cost to another platform or a bank, but we get all the added benefits such as building our investor network and a really engaging marketing campaign to increase customer awareness." Q: What's the strangest/most interesting funding request you’ve ever had? A: Crowd2Fund often works with interesting businesses due to the nature of crowdfunding. One of the most memorable was a £48k equity raise provided to Doug, a BBC Chef of the year, for his new zero waste restaurant in Brighton. The funding was for a new zero-waste coffee system where they planned to transport fresh coffee beans in zero waste fashion by sailing and cycling the coffee from West Africa to their restaurant all the way in Brighton.